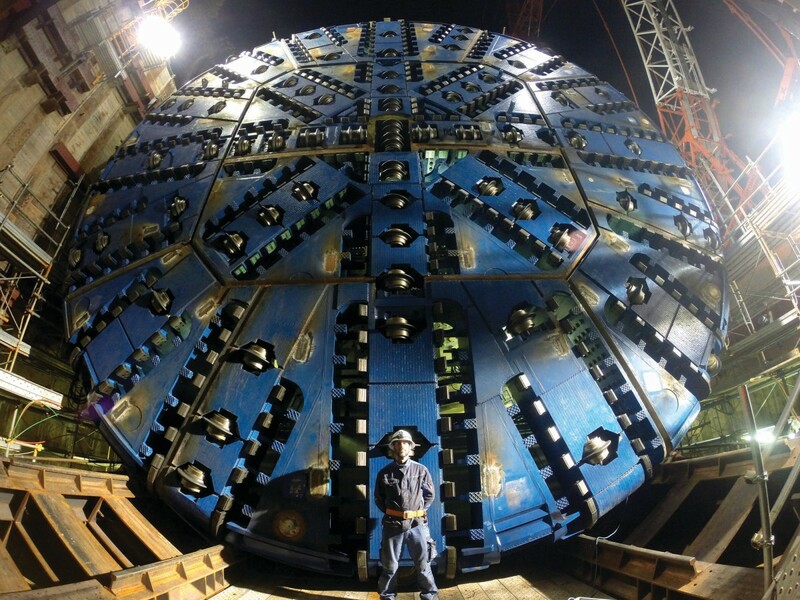 Due to the project location there were also restrictions on delivering the TBM—in order to meet controlled transportation limits within the city, the TBM had to be divided into small transportable weights and sizes, then assembled in a small jobsite, 30 m wide and 60 m long. 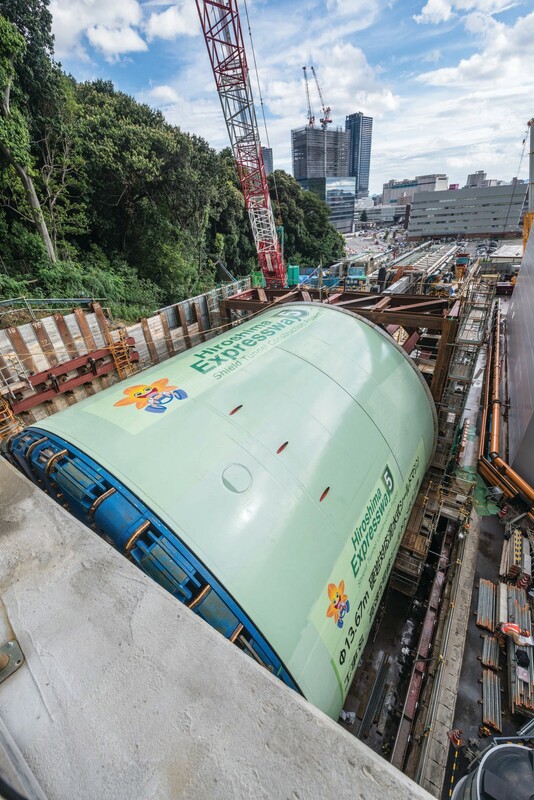 The 2400 metric ton machine will bore 1.4 km of the 1.8 km long tunnel that, once completed, will significantly improve traffic conditions in Hiroshima. 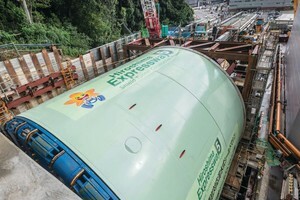 The new Expressway Line 5 tunnel will directly connect Hiroshima’s urban area with a major national highway network and is expected to improve access to Hiroshima Airport. Tunnel completion is planned for 2020. 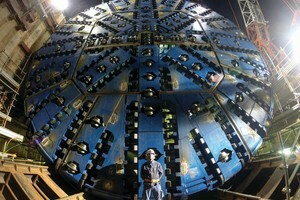 The massive machine is the country’s first foreign-made large diameter Slurry TBM to excavate hard rock in Japan. The machine is expected to encounter granite with rock strengths up to 130 MPa UCS. 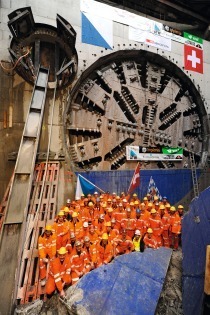 Those involved in the project are excited to see what effect this will have on how Slurry TBMs are used in the future. 20-inch and 17-inch diameter pressure compensating cutters, which utilize a patented design to effectively operate under high pressure. The joint venture intends to change the disc cutters an estimated 10 times during the bore as part of the machine’s maintenance.